Prom is comparable to a teenage wedding. Girls buy their dress and shoes in advance, they contemplate what to do for their makeup and they even get a little nervous when the day finally arrives. All this preparation and when the night finally starts, it goes by with a flash. I loved seeing my classmates all dolled up since I was used to seeing them in normal, slouchy clothes. Everyone's glamorous attire made us look and feel like superstars. There's a certain sense of accomplishment and ease at prom since everyone managed to graduate from high school. My favorite part of the whole night was the non-stop dancing! No matter how late it got, the dance floor was constantly full and it was the best way to celebrate the end of our high school journey. One piece of advice I would give to anyone who is going to prom is to stand out. We've all seen the traditional puffy dress and curled hair, which means if you really want to leave a strong impression, dress out of the ordinary. Whether it's with your dress, makeup or hair, try something bold and daunting. Let your personality shine through and think out of the box. My friends and I all had different and original looks that stood out in their own way. Scrolling through sites such as ASOS and Pinterest can help you find some inspiration and broaden your search. 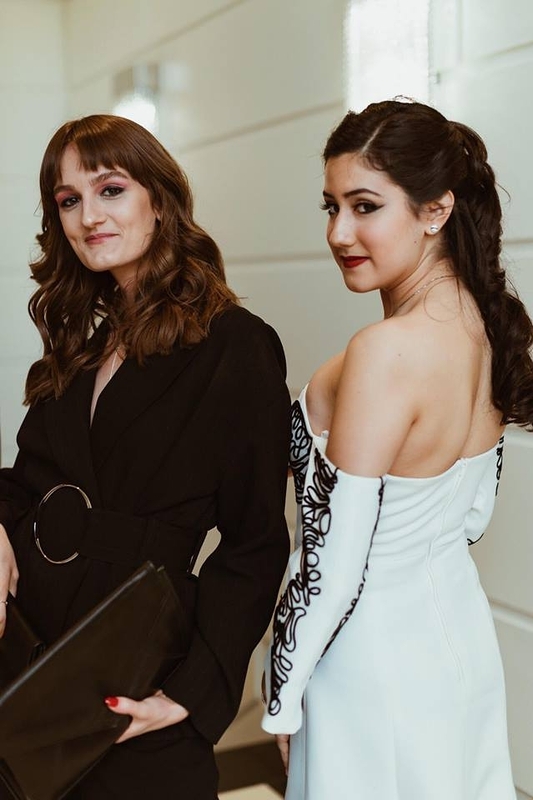 The dress I wore to prom was from the brand c/meo collective. I stumbled upon it on ASOS and it retailed for 500$. However, on the c/meo website, the dress cost 270$ and I immediately decided to purchase it. The embroidery on the top half of the dress as well as the slightly flared sleeves made me fall in love with it. The flared bottom with the double slits also added a beautiful touch to the overall look. My shoes were these lovely Sam Edelman heels and they were by far the most comfortable heels I had ever worn. I spent the majority of the night dancing in them and since the're black and had a chunky heel, I will definitely be able to re-wear them. As for makeup and hair, I wanted something classic. For my hair, I opted for a curly half-up half-down look, to keep it out of my face. As for makeup, I went to a m.a.c counter and asked for a smokey winged eye-look with a bright bold lip. Prom was unforgettable. At the end of the day, it's not about how you look or who you're with, it's about celebrating and enjoying the end of a milestone. You're all moving on to bigger and better things and your lives are just beginning. Trust me, the night will go by quickly, so make sure you enjoy your prom to the fullest since it only happens once in your lifetime!